John, what sort of productions do you work on? Mostly episodics. I’ve been working on Agents of Shield for five seasons, and then a PBS series called Mercy Street for two seasons. That’s been my hiatus show. 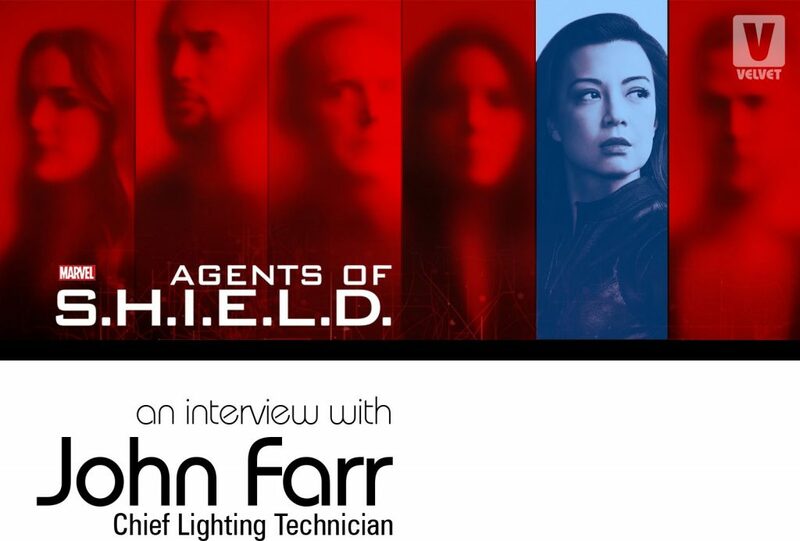 What is your VELVET lighting package on Agents of Shield? We have VELVET 1s, VELVET 2s, one VELVET Power 1, and we are carrying four VELVET Power 2x2s. Oh – and six VELVET Mini 1s. Why did you start incorporating VELVETs into your workflow? We demoed everything on the market five years ago, and VELVETs won, hands down. When I bought them, they weren’t even selling here yet. I had to change dollars into Euros. 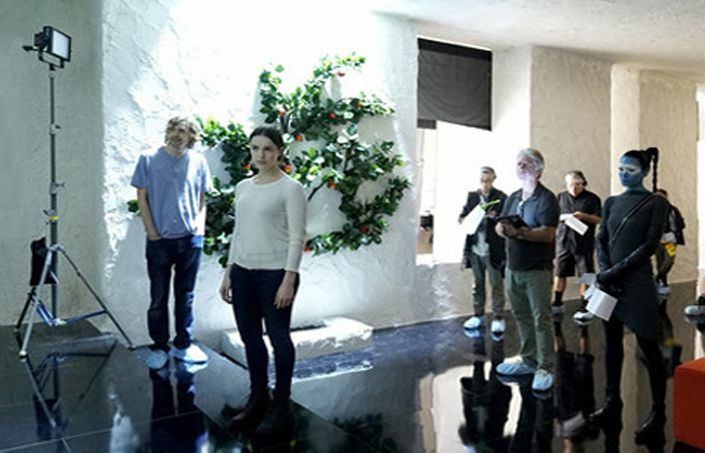 I started using VELVETs season one, so basically now it’s been five seasons of Agents of Shield. Have VELVETs made your job easier and much faster? It’s a lighter head than the competition, compared to the output. 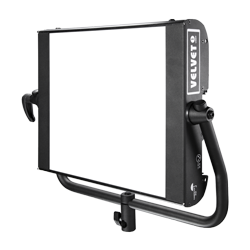 And, the ability to be battery operated – We run the VELVET 1s around all day with a battery and wireless DMX. We even use our transmitters on location. It makes the workflow so much faster, especially on the episodics. We can sit at the DIT monitor and adjust, as opposed to one of my guys going in there under a table to drop in a double and getting yelled at by the AD. It’s amazing. It makes us blazingly fast. The DPs – I’ve spoiled them rotten. We can’t go back. They wouldn’t have it. Production wouldn’t have it either. It’s really truly revolutionized the workflow. What are some of the common ways you use VELVETs? They’re really versatile. We just came off one set where we used eight VELVET Power 2x2s as spacelights. 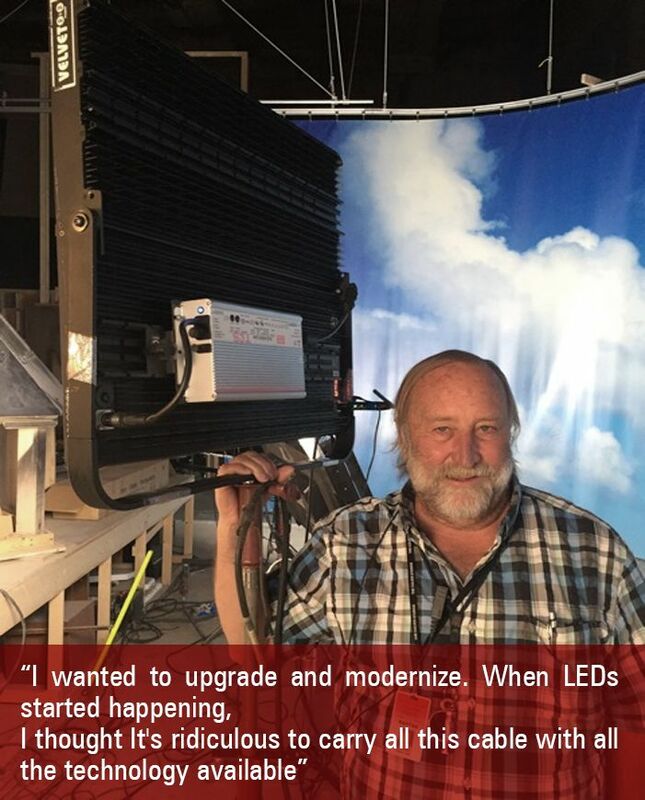 Very versatile compared to old-fashioned spacelights. And today – it’s bright sun, a day exterior, and I’m still using a VELVET Power 2×2 as an eyelight. We build VELVETs into sets all the time as a practical source.I use VELVET Minis for smaller, close-in applications. They are easy to hide. I put them up in the corner for 360 shots. It gives me something controllable. I can crossfade between positions as the shot moves, which I can’t do with a tungsten because of the color-shift. I do that a lot. really easy to light them smoothly and evenly. You just automatically have a softer source. How do the VELVETS blend with the other sources on your set? They mix fine with tungsten. I mix with tungsten all the time. And I don’t use HMIs. 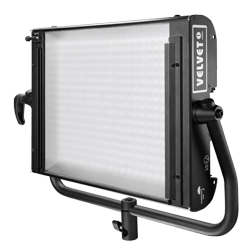 Now that you use VELVETs, What fixtures do you use less often? We don’t use fluorescent sources anymore. Then we were using LED tubes in fluorescent fixtures, and the Velvets have totally supplanted those. And that used to be how we worked all the time. 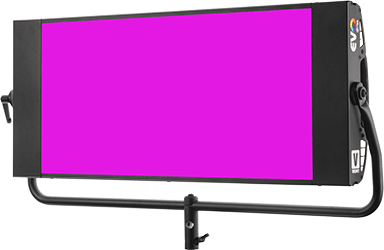 We don’t carry HMIs. 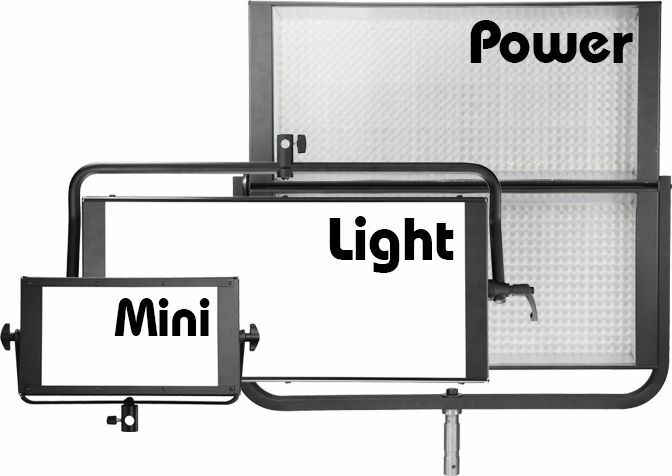 I replaced everything in the small HMI range. The Velvets have taken over. How have the VELVETS held up with use and abuse? I’ve been using the same heads for five years. They have been really dependable, they’ve just been our workhorses. We use then 8-10 hours a day, all day, every day. I’ve had one circuit board repaired, that’s it. And the water-resitance. The show Mercy Street was a Civil War piece in Richmond Virginia, and we were in the rain and the mud every day. I didn’t have to spend time with rain hats. The VELVET 1s are virtually water-proof. You can take them in the shower. And using them battery-operated you don’t have electric safety issues. What are you looking forward to from VELVET? A VELVET Power 4×4! 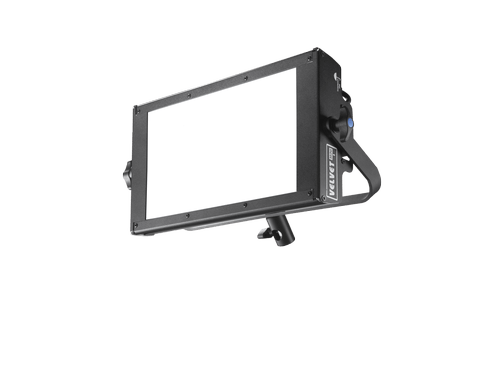 Something that would be a condor light, replacing a 6k HMI. And more built-in radio compatibility.